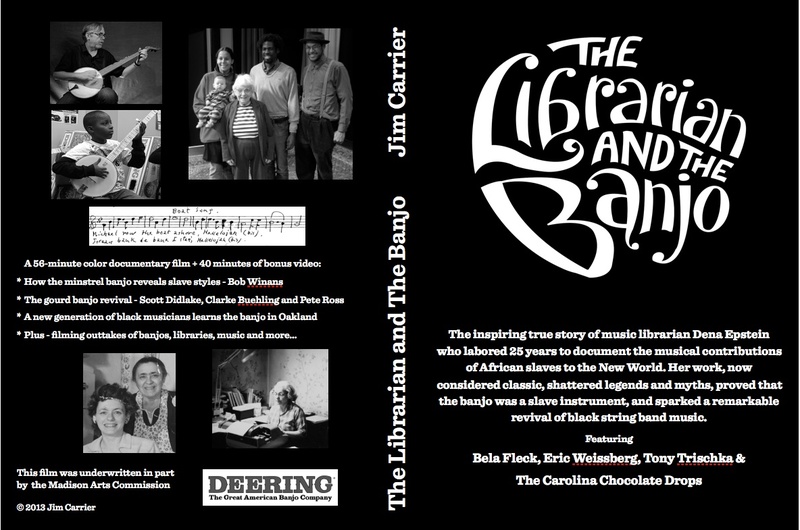 The film features interviews with Dena (as everyone called her), academics, banjo historians and musicians including the Carolina Chocolate Drops, Bela Fleck, Tony Trischka and Eric Weissberg. The soundtrack, from dozens of banjo players, includes music on gourd akontings, minstrel instruments and bluegrass banjos. Among featured artists are Stephen Wade, Sule Greg Wilson and Pura Fe. 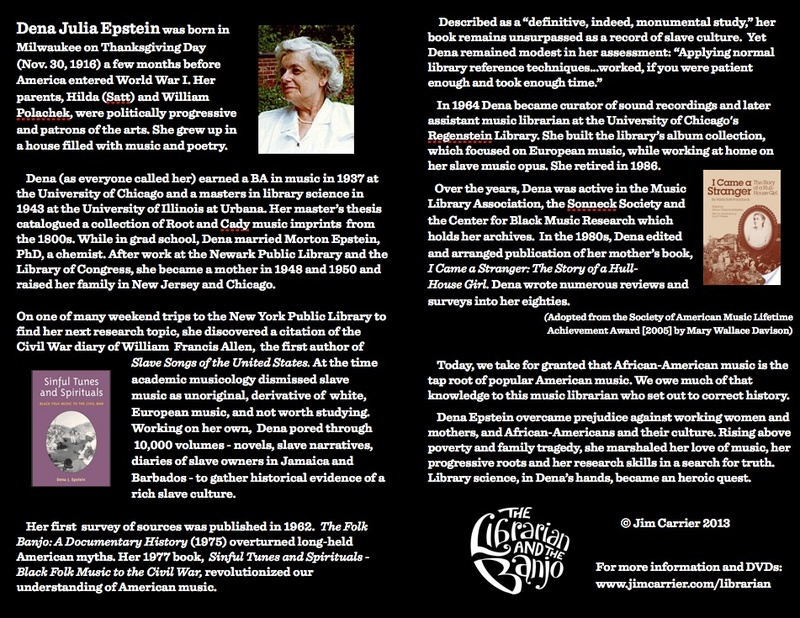 To read more about the film, including reviews, and watch a trailer, click on the drop down menu labeled The Librarian and The Banjo at the top menu above.